Whose Side is Tom Horn On? Such was the supposed confession of scout, hired gun, Pinkerton, range detective, cowboy, and soldier, Thomas Horn, Jr. upon investigating the death of 14 year old Willie Nickell. The investigation concluded that Horn had murdered Willie (claiming to have shot him from an astounding 300 yards away) thinking he was the boy’s ne’er do well father, Kels Nickell. Nickell was a sheepherding bane to the local cattlemen like John Coble—Horn’s employer at the time of the shooting. Horn was tried, convicted and hung on November 20th, 1903. Thomas R. Horn is a former Assemblies of God pastor who has taken the alternative media community by storm. Exactly what his parents had in mind when they named their son, only they can say. Horn has authored a staggering number of books only to be surpassed by the number of books he has co-authored. So for all of you skeptics who were furious over the 2012 Mayan calendar Doomsday hype that went unrealized, Tom Horn wants you to know it started in 2012 but the “Zenith” will be in 2016. Is this prophetic insight that only Tom has, or snake oil scam salvaging—an effort to keep a good thing going even after it’s died an ignoble death? Using contrived end-of-world prophecies to bilk the Faithful is an old game. History is littered with the corpses of those taken in, both figuratively and literally. For example, Freemason “Baptist” preacher William Miller predicted the return of Jesus Christ in 1844. He and his followers were humiliated when it didn’t happen and many of his believers were ruined as they had sold all they owned in preparation for the end. It is quite ironic that the Jesuit Luciferians used Miller and his Seventh Day Adventists to do great harm to Christendom yet they have turned into Frankenstein’s monster—today the Adventists are the only Christian sect boldly proclaiming Rome as the 4th and Final Beast as all of the Reformers had done and none of today’s heretic Christian leaders are doing. In 1997, Marshall Applewhite convinced 38 members of his “Heaven’s Gate” religious cult to commit suicide in preparation for the UFO that was traveling behind the Hale/Bopp comet to pick them up. Interestingly, Applewhite once taught at the private, Catholic University of St. Thomas in Houston, Texas. Perhaps the worst tragedy of our age was the Jonestown massacre in Guyana, where over 900 people died at the hands of their leader, Jim Jones. Jones had connections with the Democrat Party, the Soviet Union and the CIA but the connection that explains it all was to the Company of Loyola. In 2012, Horn did another collaboration, this time with Cris Putnam. The subject was a powerful one; an obscure prophecy by an enigmantic Irish Catholic Priest, Máel Máedóc Ua Morgair, the Archbishop of Armagh—better known as “Saint Malachy”. In this prophecy, Morgair listed a vision he had of 112 Popes, ending in “Peter the Roman”; the Final Pope. Their book, Petrus Romanus: the Final Pope is Here, even went so far as to predict that Benedict would step down. The book was published in April of 2012. Just short of a year later, Benedict was the first Pope in 600 years to resign. Are Horn and Putnam soothsayers…or did they have inside information? Who would know that Joseph Ratzinger, Pope Benedict XVI, would step down? Benedict was replaced by a member of the Society of Jesus; Jorge Mario Bergoglio. For the first time in Vatican history, a Jesuit reigned as “White Pope” (the Jesuit Superior General is known as the “Black Pope” for the black priest’s cassock he wears and the shocking power he wields). Did the Jesuits give Benedict an “offer he couldn’t refuse”? Did they know how it was going to go down and impart that information to Horn and Putnam, after first resurrecting the obscure prophecy they gave them as well? 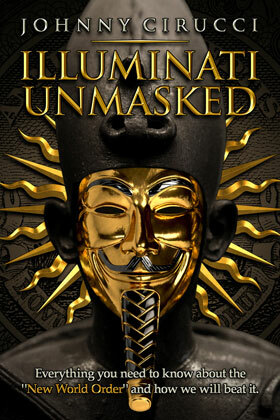 The next Tom Horn book was another collaboration with Cris Putnam and this time, the Jesuits were the stars. Exo-Vaticana: Petrus Romanus, Project L.U.C.I.F.E.R. 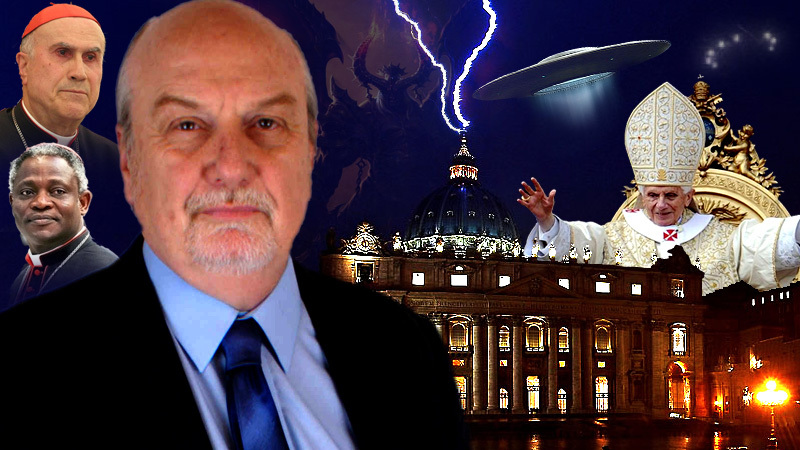 And the Vatican’s Astonishing Plan for the Arrival of an Alien Savior focuses on the keepers of the Vatican observatory—the Jesuits—and their preparation for “alien contact”. Horn and Putnam received unprecedented co-operation from the extremely secretive and cloistered Company of Loyola, to include a guided tour through the Jesuit observatory on Mount Graham at the University of Arizona. The fact that the Jesuits have such a facility on American soil—stolen from the sacred ground of the Apache Indians—is the subject matter for a book all its own. Because of Petrus Romanus and Exo-Vaticana, Horn is considered an arch enemy of the Jesuits…but is he really? Horn does what a “former” Jesuit Priest, also named “Malachy”, did. Father Malachy Martin was an outspoken author and speaker on how both the Jesuits and the Vatican “turned bad” with Communism and Satanism. But my contention is that they have always been that way. Protestant doctrine has defined Rome as the fourth and Final Beast since the days of the Roman Empire. It was only with the re-writing of Christian doctrine by Jesuits like Alcazar, Bellarmine and Ribera that we have forgotten it all, along with the horrors of Papist persecution of Christ’s followers. 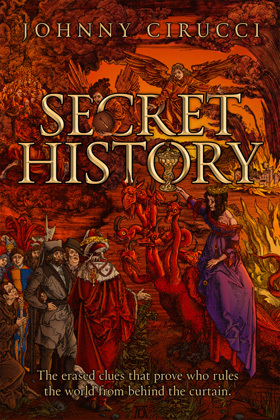 With Rome so clearly depicted as the 4th and final Beast of both Daniel and Revelation, Jesuits needed to disconnect Christians from that interpretation and they used Preterism and Futurism to do it. Preterism wasn’t accepted by large groups of Protestants and an alternative interpretation of the End Times was put forth. Futurism is more appealing in that it acknowledges that much of prophecy is yet future but it distracts from the 4th Beast and paints the anti-Christ as a man who suddenly appears just before the Tribulation and who stands alone, apart from any organization or system. It is truly amazing that Rome would have the blood of so many Christians on her hands, and today’s “Protestants” would be so oblivious of her crimes as to commemorate the 500th anniversary of Martin Luther’s Reformation by grasping onto those bloody hands with their own. 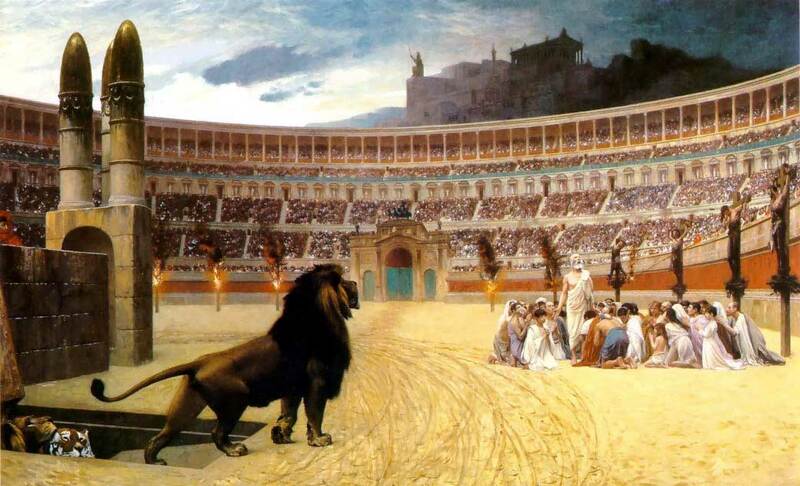 The list of atrocities committed by Rome upon Born Again Christians fills volumes; what used to be the most well-known of those volumes is Foxe’s Book of Martyrs. Burned alive, entrails ripped out, arms torn from their sockets, bowels burst, finger nails pulled out…these are just a few of the tortures endured by Protestants at the hands of the Inquisition. Chillingly, more appears to be planned. 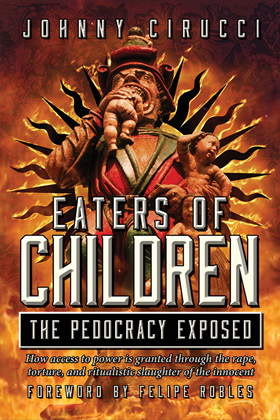 Horn’s latest collaboration is an “ultimate collection” of some 14 authors who, knowingly or unknowkingly, have all passionately espoused Jesuit doctrines of Dispensationalism, Christian Zionism, the Pre-Tribulation Rapture and the erasing of Rome as the Dragon; Tom Horn, Gary Stearman, Chuck Missler, Cris Putnam, Michael Lake, Sharon Gilbert, Derek Gilbert, Larry Spargimino, Paul McGuire, Douglas W. Krieger, Douglas Woodward, Terry James, Stephen Quayle and Angie Peters. The book is Blood on the Altar: The Coming War Between Christian vs. Christian. In all previous “wars” between “Christian” Rome and real Christians, the followers of Jesus Christ haven’t done very well. HI Johnny; great article. Your connections really get me thinking. I’ve read Blood on the Altar. I’m also reading Foxe’s Book of Martyrs which is really difficult because of the unrelenting list of persecutions. I have to keep putting it down and taking a break. It’s really quite horrible what Rome has done to Christians. I am also horrified to be a member of the Lutheran church right now. I had no idea that the LWF was so close with the RCC and the more I learn the more disgusted I get. Now that I’m awake I’m catching on to all kinds of things going on at our church, like the plans being made for the 500th anniversary in 2017. Just last night at a meeting our Pastor was speaking about how much the Catholic church has changed their practices because they don’t focus on “works” as much as “grace”. Don’t believe that lie. Rome doesn’t change and all churches have been infilitrated by Jesuit coadjutors. The World (and National) Council of Churches was created for that reason. Johnny, I enjoyed your interview on Daniel Ott’s program. I was probably one of the first people to read your excellent book, which I purchased right after your interview with Freeman Fly back in February or March. I just want to let you know though, that you are wrong about those of us who believe in a pre-tribulation rapture; we are not sitting around on our rumps just waiting for the Lord to come get us while the rest of the world goes to hell. I know it has become very popular for those who do not believe in this rapture to make claims like this. It is equally popular for them to claim that Margaret McDonald’s so-called vision of 1830 is what led to the pre-trib view, and that is simply not true. Her vision was not a “Pre-Tribulation Rapture”, but was Post-Tribulation. Check it out for yourself and you will see. Regardless of what her vision was, I would simply like to ask, has God ever punished the righteous with the unrighteous? No, He has not; and the wrath that is coming in the tribulation period is God’s wrath. It is His holy angels that are pouring out the judgments upon the earth. I agree with you that Obama is not Muslim, it’s much worse than that. For one thing, he is a flaming homosexual and they would have already beheaded him. But equally absurd is his claim that Stanley Ann Dunham was his mother. There was a dna test run on Obama while he was visiting London, before he was even elected in 2008. The test showed that he was not related in any way to the couple he claimed were his maternal grandparents. His entire history has been a lie, including all of the photos that have been posted on his Facebook page; they have all been tampered with and thoroughly photo-shopped. We have no idea who he really is or where he came from. I think your book is amazing and I still go back and re-read parts of it. There is nothing about the Catholic Church that is Christian, and I cannot understand why so many people are so deceived, but please don’t make everyone that doesn’t believe exactly the same doctrine as you do to be enemies. I was very surprised when I listened to some of your first programs on Blog Talk Radio, because you used language that was more vile than most of the secular programs I’ve heard. If I remember correctly, you made all kinds of excuses as to why you used such language. Just drop the rock and stop pointing to everyone else. I am sure that authors like Tom Horn and Chris Putnam could easily ask how you were able to find out all the information in your book. hmmm…always interested in people who start with how much they support me and then attack me. I’ve found that the sanctimonious holier-than-thous who pummel me for my language usually have secret sins FAR worse than that…so what’s yours, hardness of heart? If you’ve read my book like you claim, then you’ve seen how the Jesuits created the “Pre-Tribulation Rapture” to put Christians asleep. We need go no further than Matthew 24: first comes the Tribulation in verse 29, THEN comes the Gathering in verse 31. “Punishment” is NOT tribulation! If you know ANYTHING about being a Christian, it is PAIN and TRIAL and CHALLENGE. Just ask ANY of the faithful Christians who have been TORTURED and MURDERED by Rome. Foxe’s Book of Martyrs is full of them. I’m sure Tom and Cris appreciate your defending them…and the Jesuit Pope appreciates it even more. Johnny, I just file such folks under Romans 1:22. Muslims don’t have a problem with homosexuality. They are child molesters just as the Catholics are, and yes I mean men abusing boys. Muslims keep boys for pleasure and women (wives) for childbearing. No, that won’t describe every single Muslim in the world; some will be decent; but, it is accepted practice with the upper echelon. My source is someone who did time in the military in Afgan/Iraq. As pertains to the utter silence by almost everyone who is anyone in the Christian and alternative media world regarding the Jesuit (Babylonian) agenda to ruin life on earth: to this I say I too am astounded. I trust almost no one unless they are willing to tell the entire truth about Rome; I find it too suspect to ignore, and it makes me question the speaker/writer’s motives. I basically have decided to take all things with a grain (or a shaker) of salt. Believe half of what you see (in print) and non of what you hear. People lie; they do it for all sorts of reasons. Jesus will return immediately after the tribulation of those days. Before that, all hell will literally break loose upon the face of this earth. During that time, people who believe as I do will be ostracized and eventually tormented by all those who are deceived by the rising beast and his false prophet (pope, in my opinion). In the meantime, it is nice that some people don’t have a hard time outing the truth. Thank the Lord God for those (FEW) people who are brave enough to shine a light on things now and again. 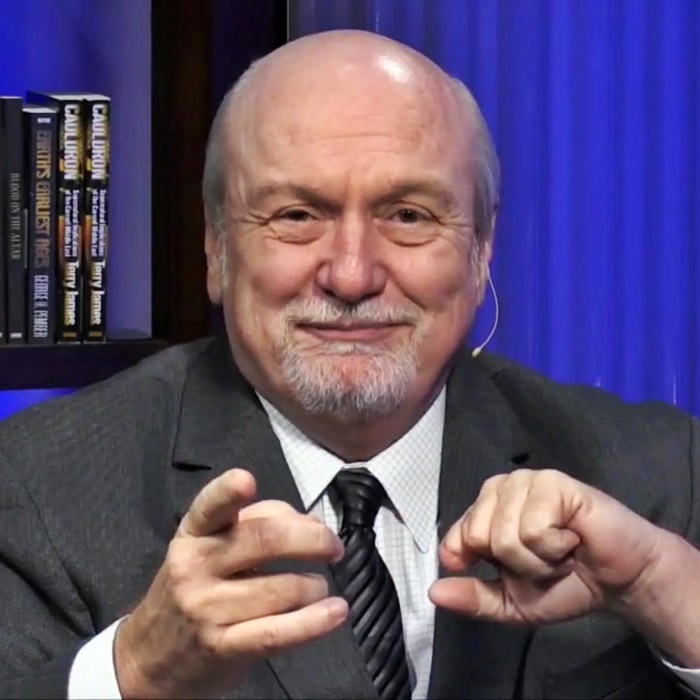 Have you put your thoughts and question forward to Tom Horn? I’m pretty sure he would be happy to have a conversation and answer. I am a huge fan of the Tom Horn/Putnam collaborations. This is info every Christian and professing Catholic should take a look at. I had the same suspicious about these controlled opposition agents that talk about the vatican , but never them out as the antichrist. plus all the publicity they get is a sure sign of controlled opposition. just found your website today. and will be a regular reader. thanks for this great article. Hey Johnny. Thanks for addressing the skywatch crew, especially this ring leader. They’ve left a bad taste in my mouth for quite some time now, particularly with the incessant churning out of books and mega-deals that drip with commercialism and false prophecy. Recently saw a couple of them discuss on social media how lovely the meal “the cook” made for them over at their fancy-pants studios and I wanted to upchuck. I find it absurd they need a cook to provide lunch for them daily and certainly not something I wish to throw my hard-earned money towards. Did I know one of Outlaw Tom Horn’s relatives that was in the US Navy because of a falling out with his father. 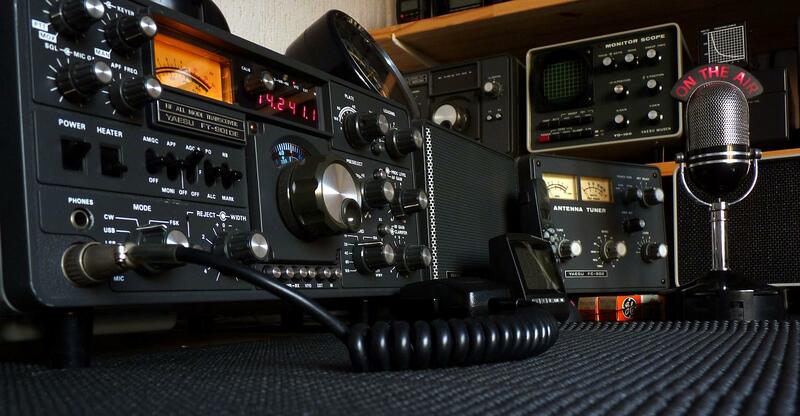 Who then went to a large University to obtain an engineering degree near 1976. This degree got him employment with a company that led this other Horn to become a Freemason Satan worshiper. Is Tom R Horn a con man? Talk about miss leading the miss lead, this is it. The is miss information at its best from all concerned. This… is very sad.